The passion for making money online grows with the passage of time. Making money online seems to be the easiest job, however it certainly requires lots of patience, dedication and hard work. I have created this blog to share the secrets of online success with my readers. I have been discussing many of ways to make money online. If you are running a blog or website with decent amount of traffic / visitors, you can signup with InfoLinks to increase your online income streams. Its always a good option to have multiple income streams rather than relying on the single online income source. 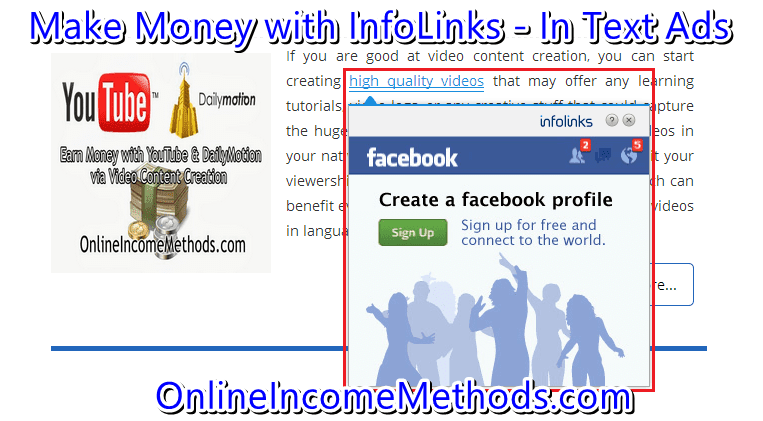 How to Earn Money with InfoLinks? What is InfoLinks and how does it generate money for you? That’s the first question knocking in your head. InfoLinks is a publisher and advertiser network, that display in text advertisements on the blogs / website of approved publishers. Advertisers pay InfoLinks to derive traffic or sales to their products, while InfoLinks have a pool of publishers across the globe, publishers display those non-intrusive in text advertisements on their blogs, when a visitor on publisher’s blog / website views or clicks on that advertisement, that publisher gets credited with a certain share of money. Once the publisher reaches minimum $50 in the account, InfoLinks issues the payment to their publisher within 45 days either through Paypal, Payoneer, Bank Wire or Check. InfoLinks makes profit by the difference in cost they charge to an advertiser and the revenue they share with their publishers. That’s a Win, Win & Win situation for three of us, Advertisers, InfoLinks Company and the Publishers. They are also offering wide variety of advertisement formats, the most popular is the basic one, which is In Text Ads, others include, In Search Ads, In Tag Ads and In Frame Ads. They also suggest to use the combo of these all adverts in order to maximize your earnings. I would only suggest In Text Ads, In Search Ads and In Tag Ads, In Frame ads are considered a bit intrusive and might not be good fit for your blog readers. You will need to enable the combo ads from your account settings. 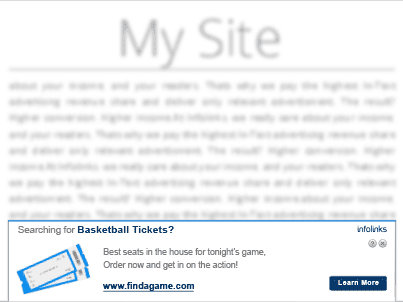 The company also claims that they are the best fit with Google Adsense. If you are already using Google Adsense on your blog to generate money, Infolinks will help to add a bit more to your current earnings. Recently InfoLinks has also formed a partnership with Google’s Ad Exchange and offering its premium publishers the opportunity to signup with Google Ad Exchange and show ads which generate higher amount of revenue for you. Related: How to Setup Wordpress Blog at Local Host on PC? InfoLinks provide you with a transparent reporting system from where you can easily track the performance of your websites / blogs and see how much revenue you have been generating with InfoLinks with a particular site, you can choose the range of dates to locate in which month you have made more money with Infolinks or if your blog’s performance is going down, then you can try out other alternatives to InfoLinks. 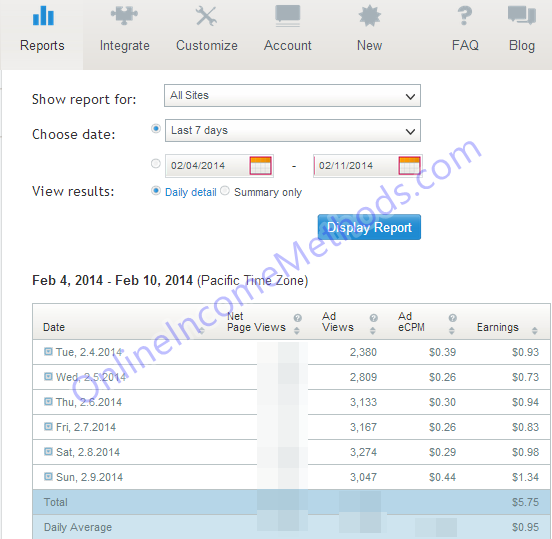 The report also shows the ad views, ads eCPM and the final earnings being generated for you. 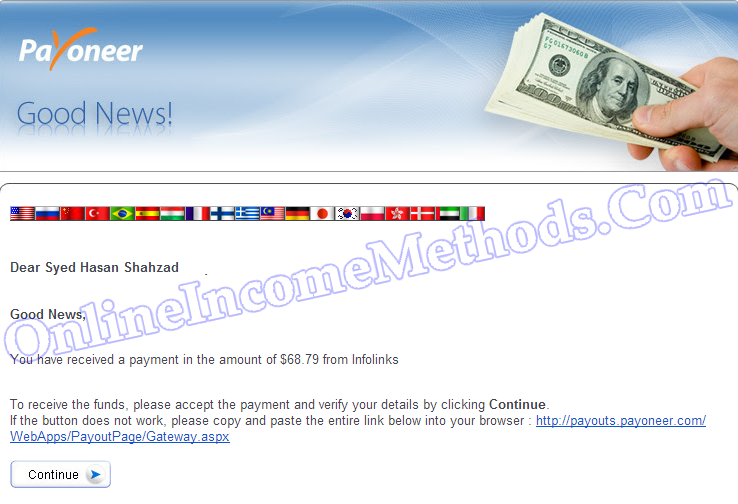 How To Make Money With InfoLinks Referral Program? Recently Infolinks has introduced its referral program which will help you earn recurring 10% of your referral’s earning for the period of 1 year. The more the active referrals you have, the more you will be able to earn. How Much You will be Earning with InfoLinks? The time I had started with InfoLinks, it was just a CPC (cost per click) publisher network that pays on the basis of number of clicks made on adverts, however at this stage they have shifted to new model that is CPM (cost per thousand impressions), that means you will be generating money even if your ads are not being clicked, rather only ad impressions have been generated. 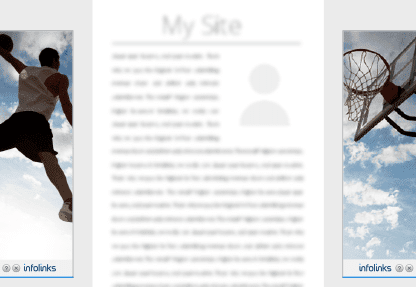 Again that depends upon the location/country/region of users from where they are accessing your website / blog. Blogs which have traffic from USA, United Kingdom, Germany, France, Australia and European regions tend to make more money than those blogs who have their visitors from Asian countries. Thus you should be targeting your blog posts for above mentioned countries. Infolinks lets you earn decent sum of money and that depends upon the quality of content and traffic’s region of your blog. 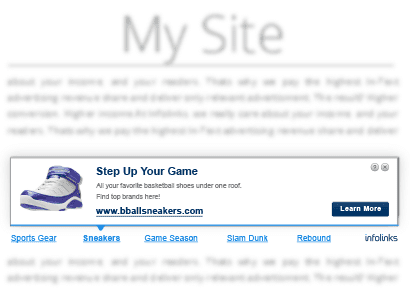 Further you can adjust the frequency of ads that should appear on your blog and customize the look and feel of ad colors. I would suggest to keep trying with different color combinations until you find the best match for your blog that will be generating the most revenue for you. InfoLinks support wide variety of payment methods which include Paypal, Payoneer, Check and Bank Wire. You will receive your payment within 45 days, once you have accumulated $50 in your InfoLinks account balance through your preferred payment method. Please Signup for Payoneer Account to receive your InfoLinks payments with it, you can also use your Payoneer Account for making online payments such as Purchasing Domain name from GoDaddy and Web Hosting from HostGator. If you are already using InfoLinks and had success with them, feel free to drop your love for them in the comments section, in case you need to have any sort of help you can surely leave your queries and I would try my best to answer my loyal blog readers 🙂 Stay blessed everyone! !